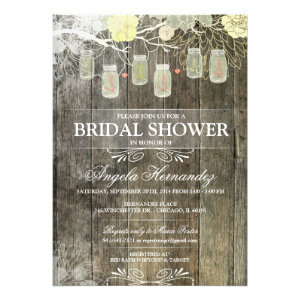 Rustic & Country Bridal Shower theme has been very popular with brides and their gusts in the last few years. 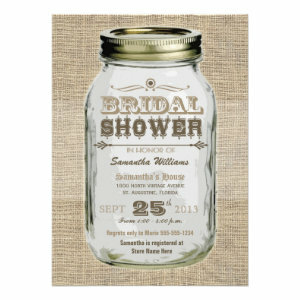 Here you can find 20 of the most wanted Rustic / Country bridal shower announcements out there. 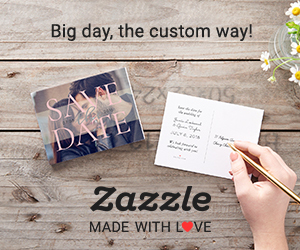 With each card you will receive a standard white envelope, free of charge. 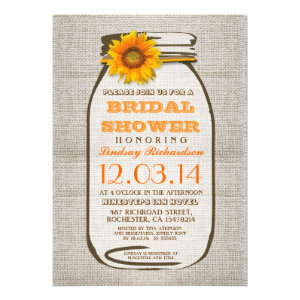 These Rustic Bridal Shower Invitations are filled with country charm. 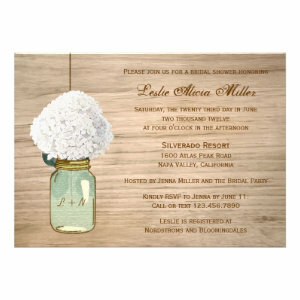 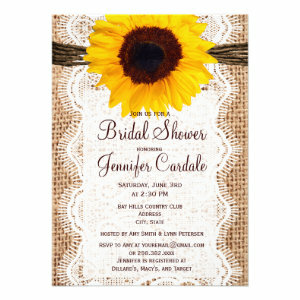 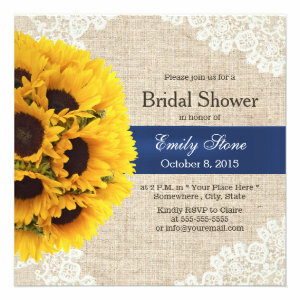 Featuring beautiful floral designs, rustic mason jar's, burlap and lace invites, and plenty of sunflower's. 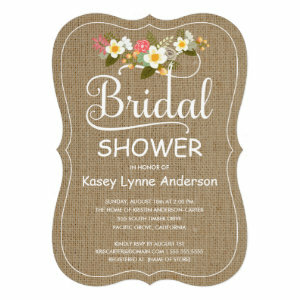 Suitable for all kinds of bridal shower theme, no matter how big or small, formal or informal. 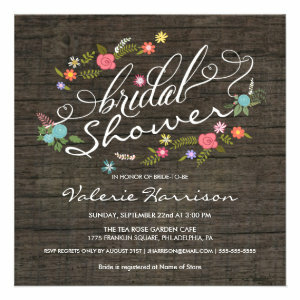 Some popular ideas for a bridal shower party are, summer garden party, a BBQ and fizz party, a Boho party, or a fairytale woodland party. 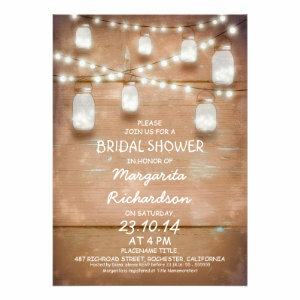 Whatever your bridal party theme you're sure to find an invitation to fit. 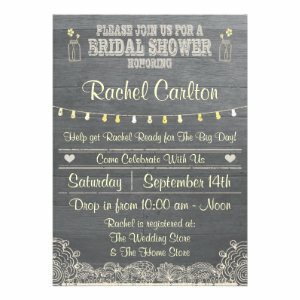 All bridal shower invites can be personalized, if desired. 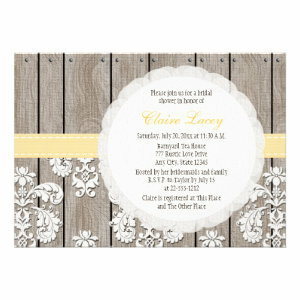 Simply enter your guests name and party details before changing the font, style, colour, and layout. 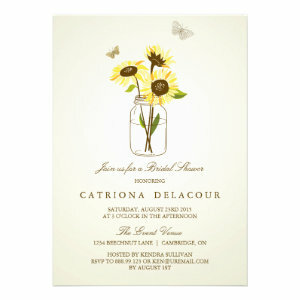 You can also choose from a selection of paper types and finishes for the perfect invitation. 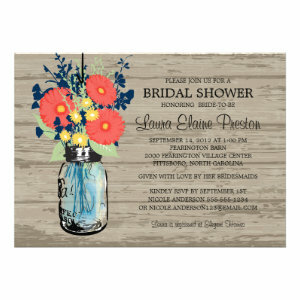 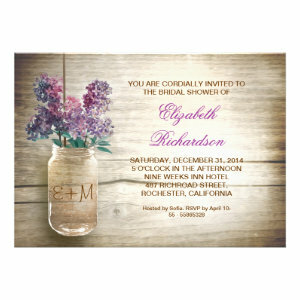 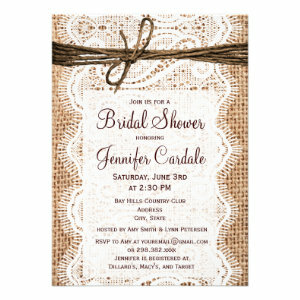 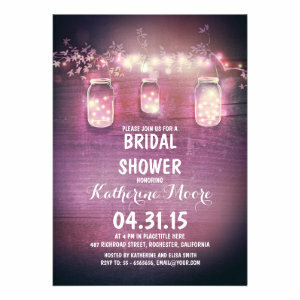 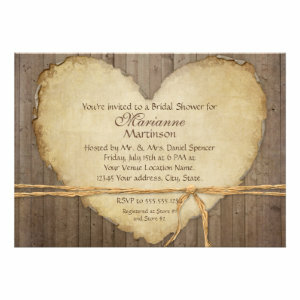 These Rustic Country Bridal Shower Invitations are a great way to get your celebrations of to a stylish start.